Get Maximum Results in Less Time! With exercise, we all want maximum results in minimum time but many of us have no idea how to go about attaining the results we want. For 99% of women at the gym (and a high percentage of men, too) ‘fat-burning’ is still the main goal however the short, cardio-based, beginner workouts so often programmed will never achieve the lean, strong, toned physiques they’re after. You don’t need to spend hours in the gym, or on any exercise program, you just need to know how to use your workout time wisely to gain maximum benefits. Weight-bearing exercise, using one’s own bodyweight for resistance instead of equipment has made a comeback in the last few years, and rightly so. Bodyweight training can be performed by anyone, anywhere and, performed in conjunction with short bursts of very high-intensity cardiovascular activity, can be the magic combination for toning and fat burning, in a relatively short space of time. This combination for toning and fat burning is what Wes Eastwood, owner of SKIP2Beat, says is making his sweat sessions so popular. “SKIP2Beat makes it quick and easy to tick-off your daily workout without compromising the results you seek, and yields outstanding results using your own bodyweight, plus the humble skipping rope,” says Eastwood. The program operates on a simple equation: fast music + fast feet = fast results. By stripping movement back to the very basics and adding in some seriously funky beats, SKIP2Beat offers an intense, results-driven workout that is done and dusted in just 30 minutes, no complex choreography or co-ordination required! 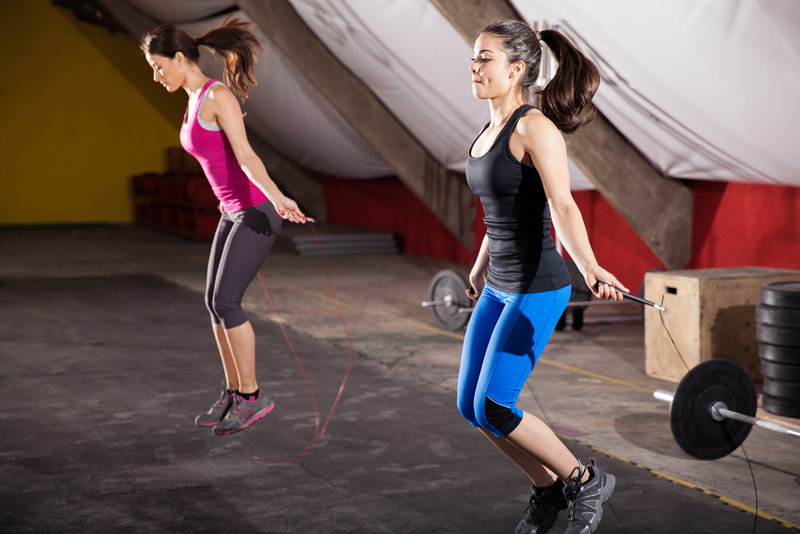 Health benefits of skipping include increased bone density, cardiovascular fitness, co-ordination and lean muscle to fuel the metabolism long-term. For both the fitness enthusiast and the keen beginner, skipping really is a no-brainer. The sport has returned to popularity in a big way in the USA, and Australia is right on their tail with sales of ropes the highest in 30 years…jump on the skipping bandwagon and watch your body change! ← Should you really quit sugar to lose weight in 2016?